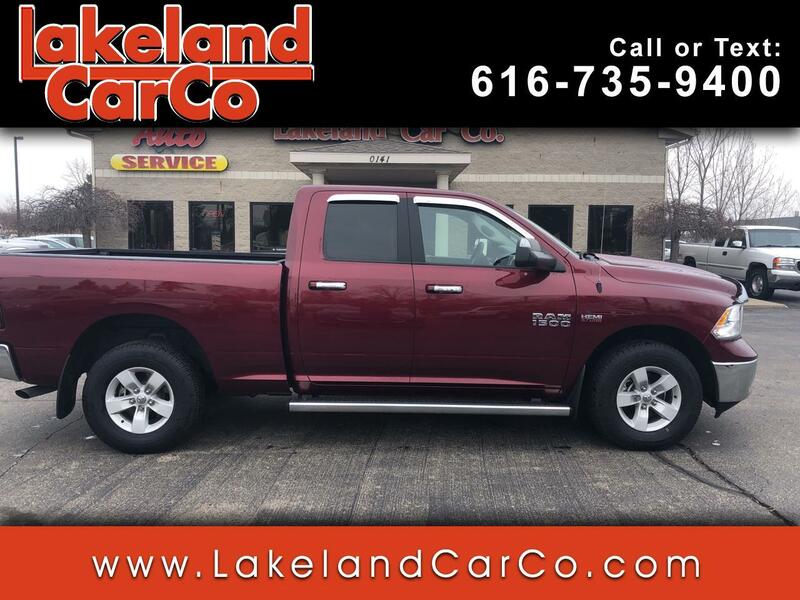 Used 2018 RAM 1500 SLT Quad Cab 4WD for Sale in Grand Rapids MI 49534 Lakeland Car Co. It's easy to see our 2018 RAM 1500 SLT Quad Cab 4X4 brought to you in maroon Red Pearlcoat Clear Coat was built to dominate the road! Powered by a proven 5.7 Liter HEMI V8 that offers 395hp while connected to an innovative 8 Speed Automatic transmission for impressive passing and towing. Legendary performance and capability are close at hand with this Four Wheel Drive when you get behind the wheel and take in the near 21mpg. No one can ignore the bold design, aggressive wheels, and distinct grille of our SLT.